It is as if the train stopped, kicking off all its passengers, only to have those same passengers get on the very next train going in the exact same direction. The first train was the Jeffrey Ronald Janis Express and now we have the Jake Kumerow Bullett. Some things change, but many things stay the same. The paralles are striking. They are similar size, both above average, and both came from small schools. Also, they were overlooked in the draft, with Janis being a 7th round pick with Kumerow was undrafted. And most of all, they both have torn up their intial training camp and preseason with the Packers. Janis first preseason included two touchdowns of over 30 yards. His second preseason, he upped that total to three touchdowns to go along with 10 catches and 149 yard. And now, Kumerow has dazzled, with two touchdowns over 50 yards, the last being a spectacular catch and run of 80 yards. Don’t buy the hype. 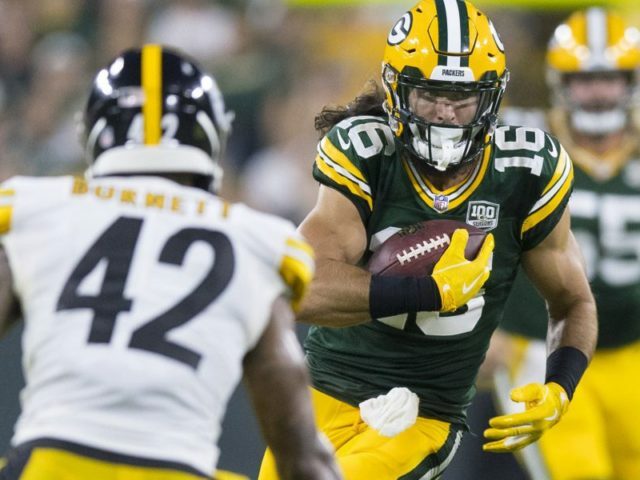 With Kumerow, the discussion should start and finish with his age. He is 26 1/2. To put that in perspective he is 1.5 months shy of being the oldest wide receiver on the team. Randall Cobb is a mere 18 months older than Kumerow. Think about that. Randall Cobb who scored two touchdowns the first game of the Packers 13 game winning streak in 2011, is one grade older than Cobb. He is four years older than Kenny Clark and a year older than Davante Adams, who have a combined for six years of NFL experience. This is a big deal and limits his ceiling. The age of first round picks has steadily decreased since 2000, in part because younger picks tend to have a better career. If Kumerow was 21, this conversation would be far different. Next, this is his third team he has tried out for. Beginning in 2015, he spent nearly two full season on the Bengals’ practice squad before being signed to the 53, in late December 2016. Last year, the Patriots singed him to their practice squad only to cut him one week later. If he was a legit NFL talent, it is hard to believe he wouldn’t have caught on with one of those teams, at least for a short amount of time. For someone such as Kumerow to have any use taking up a roster spot, they would need to show something on special teams. Has he? Nope. Not at all. He lacks the straight line speed that is normally required to be an effective gunner. He isn’t a returner, and he hasn’t hardly seen any action on special teams to date. Maybe we will see him there if his shoulder allows him to play again this preseason, but if he had ability there, that would have been something we have seen already. 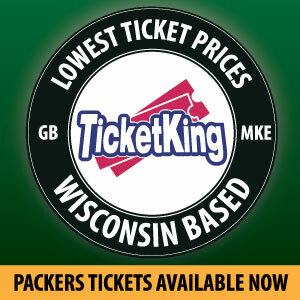 And finally, the Packers have a glut of young recivers. Adams, Cobb and Allison seem to be locks. That leaves presumably three or four spots for Trevor Davis, Deangelo Yancey, J’mon Moore, Marquez Valdes-Scantling and Equanimeous St. Brown. The latter three are all draft picks, have above average althectic profiles and have all shown flashes of ability. Their ceilings are higher, no question. And it’s not just about who are the best 53 now, but long term considerations are at play. He not only needs to be one of the best 53, he needs to make a significant contribution now to be worth holding the roster spot for, ahead of 21 and 22 year olds. And Davis, can return punts. For all the hub bub, about his fielding of kicks inside the ten, he did well with the ball in his hands. People forget he gave the Packers a punching chance last year to make the playoffs with his spectacular return vs the Browns. He can learn from some of his poor decisions. Don’t buy the hype. Get off the train. After all, this is preseason. Junior Varsity. The Packers would be best to cut Kumerow. This entry was posted in Packers 2018-2019 Season and tagged 2018 Preseason, Jake Kumerow, Roster Cuts. Bookmark the permalink. There is NOTHING in common between Kumerow’s game and Janis’s game. What they had in common was they were white unheralded wide receivers, with fan support other than that their games are nothing alike. Janis was a gifted athlete who couldn’t catch and figure out how to execute an offense. Kumerow already has 12’s trust and can catch and is maybe a little less athletically gifted than other receivers. I think I’ll trust Rodgers’ opinion. Kumerow, right now is bigger, faster, & better than Geronimo Allison. Kumerow is more like Adam Thielen than Janis. Good route runner and way better hands than Janis. Sometimes I wonder how high Jason gets before he writes this stuff. Aside from the enormous difference in these two, Kumerow has ONE HUGE DIFFERENCE. Rodgers loves him. That should tell you all you need to know. I always enjoy a well-reasoned contrarian view. That was nice. I’m going to go way out on a limb here and say that two more exhibitions and several practices remain and IMO, Kumerow has out-performed any of the draft picks to this point. I actually think his age is a plus. After our top three, the only remaining vet is Davis at this point and a little maturity is always useful. He’s at his physical peak. Additionally, of the three draft picks, there are a number of ways to go. Even if you kept both Davis and Kumerow as the #4 and #5 guys, you could keep one of the rookies on the 53 as a gameday inactive. You could keep one, or even possibly two on the practice squad and they might get poached but you’re talking about our #8 guy at that point. And Davis has to show he’s healthy enough to play, and that he’s not going to cough up the rock any more. He’s a real good option as a return guy and again, he’s a little bit of a vet, but he can’t help us if he’s not healthy enough to play. I would not want to watch Aaron Rodgers depending on rookies executing their assignments correctly while they “learn on the job”. Give them a year, but go with Kumerow now. This author lacks eye sight and vision. When Rodgers said he runs the correct routes, knows the plays, and catches the ball for christ sake consistently. Have the others really stood out consistently? Cobb included? Why not try Kumerow in the slot then? No. MM is stubborn with his using Kumerow as a 3rd or 4th receiver, heaven forbid. Yet he stays with Hundley for four years now, and Yancey? Gi figure. Just like Boyle. Talent raw, but good arm and pocket presence. MM and Guteball will let him go, and maybe Kunerow, but watch some team pick both up in a matter of an hour. Mark it.